More Silent Hills gameplay was shown at the Tokyo Game Show that just passed. It seems to be keeping its first person perspective which a huge departure but has a lot of potential for the series.. On the topic of Silent Hill, lets talk about the best Silent Hill game since Silent Hill 2. Silent Hill Shattered Memories was a stand-out game when it was announced at E3 in 2009. It was taking Silent Hill in a new direction for the series and was appearing on the Wii at the time it needed more 3rd party hits. It moved away from the action focused The Room, Origins and Homecoming. Good old Square-Enix milking one of their franchises again. Theatrhythm isn’t a spin-off or squeal to a series nobody wanted; it’s their charming and addicting rhythm game for the 3DS. Curtain Call more than doubles the track list of the original but is this simply a cash grab or is there enough to revisit this game again? Trailer Metal Gear Solid 5 The Phantom Pain – Tokyo Game Show – Quiet and Gameplay Trailers. Not much to say other than the game look really impressive. The scope seems to have been expanded more than it has ever been in the past. The new gameplay trailer for Final Fantasy XV has just been posted from Tokyo Game Show. Say what you will about the series, there are a couple of interesting gameplay mechanics that are catching my interest. Game looks like it will feature real time combat, it looks like the type of action game combat that I wanted FF XII to have. The graphics look great, the environments look vast and the wildlife is huge and impressive. There are also a few subtle visual touches that adds a lot of realism that we don’t really get a lot of in games. No word on a release date but I’m looking forward to this one. It’s hard to believe that it’s only been a year since the first Tales of Xillia came overseas. It was considered by many (including myself) the best of the series and it was one that deserved a sequel. But we’ve been burned by a sequel before. Tales of Symphonia: Dawn of the New World wasn’t bad but was a major let down to many fans. 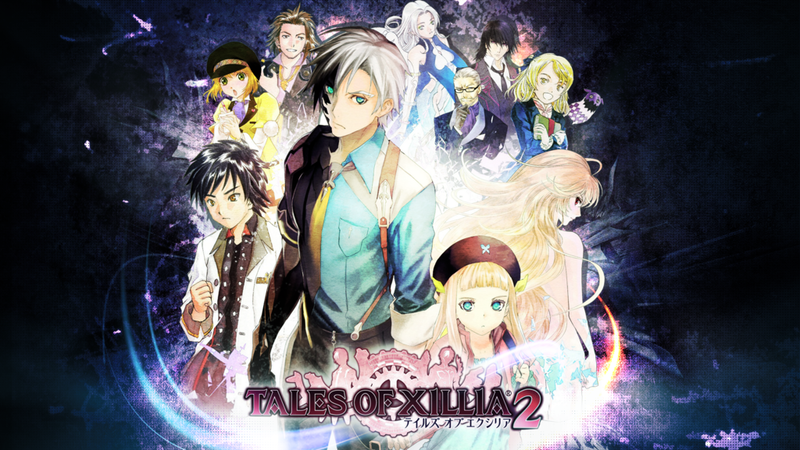 Will Tales of Xillia 2 suffer the same fate? FuturLab is a new and rising developer whose been making a name for themselves working on games for the PS3 and Vita. Their best and most ambitious game, Velocity has earn its sequel. Velocity was a stand out game because of how it changed how we think a top down shooter should be. Velocity 2X aims to be a bigger and even better than the first. Does FuturLab deliver? Zero Escape: Virtue’s Last Reward borderline what I would consider a bargain bin game. Chances are that you can only buy this digitally and the price is fair but more expensive than the rest of the games I’ve written up so far but this is something great. This is the sequel to 999, 9 Hours, 9 Persons, 9 Doors. I’ve chosen the second volume of this visual novel series because 999 isn’t available digitally and probably even harder to find in stores.